The modern lithium ion battery, which some would consider the reason for the rapid evolution of the modern consumer electronics industry, rests on an unfortunate architecture: the anode and cathode of the battery act as cages that can hold the lithium. Those cages take up weight and volume. And the voltage of the li-ion battery is also far below that of a more ideal battery. In order to further increase the energy of the lithium battery, we need to go back to our hypothetical chemists’ dream battery (which I wrote about two weeks ago) by removing these cages. This week, I will explore what happens when we remove these cages. Let us continue to use the lithium metal as the anode, but find a cathode that has practically no weight and is pretty abundant. Yes, this is the same oxygen that we breathe. There is a lot of it in the world, it’s free, it’s not bad for you (far from!) and to top it all off, it can be made into a battery. And what a battery one can make! The theoretical energy density of this battery (meaning the energy that the material holds without all the dead weight from the packaging etc.) is comparable to gasoline. Some call this the non-aqueous lithium-oxygen battery or the non-aqueous lithium-air battery or Li-air battery. 1). Breakthroughs cannot be scheduled. 3). The time it takes to make a commercial battery from a lab-scale concept is in the order of years to decades and it takes longer the more breakthroughs that are needed. Making a battery is actually pretty easy. It’s a project one can do at home with the kids. Making a good battery, on the other hand, is hard. Very, very, hard. Any person who enters the battery field will start by looking at the “Handbook of Batteries“. This bible has all the battery chemistries that are either commercial or close to it. The book does not contain the million other batteries that one can make, but that have no real value. 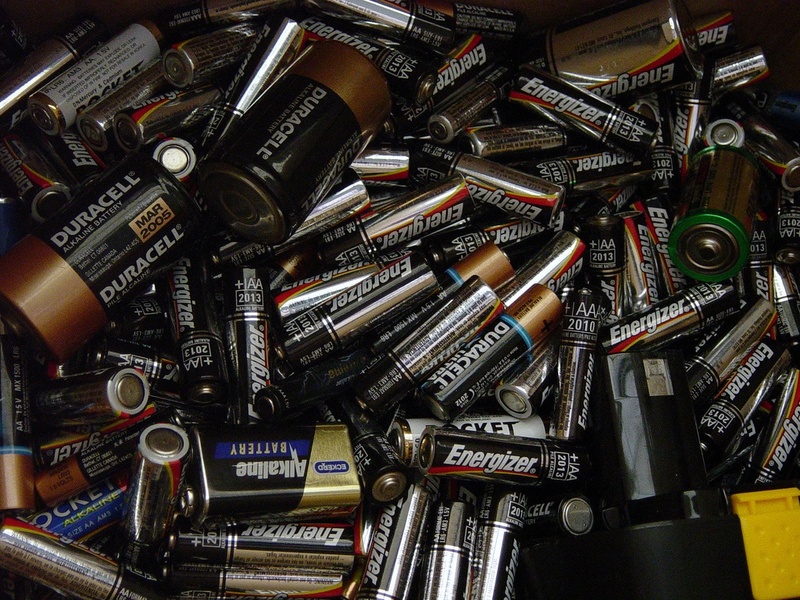 Batteries need to have high energy and high power, need to be rechargeable (for cars, cell phones etc. ), need to have long life, need to last many cycles, need to be safe, and need to be cheap. The third law of batteries tells us that not all of these attributes are going to be achievable. Very few systems make the cut. So how does the Li-air system stack up? The answer is pretty technical, but I think it’s safe to say that as of today the battery can probably be best considered a poorly rechargeable one (if at all). It’s a low power system, has very, very poor cycle life, the energy is not that great, and some researchers question it’s safety. And no one is even talking about cost. To top it all off, the energy efficiency of the battery (i.e., energy out divided by energy in) is so poor that it makes a fuel cell start to look promising! Lithium metal remains notoriously hard to work with even after decades of research. Discharging the air electrode leads to a product that is insoluble and not easily reversible. The discharge product seems to clog everything and this leads to the air supply getting cut off. I estimate that this system requires at least 5 breakthroughs (others may estimate differently, but this is my blog post!). Two of these breakthroughs (involving the lithium anode) have eluded us for 30 years. One of the breakthroughs (involving the energy efficiency) requires some new understanding to be developed. So are 5 breakthroughs typical in the area of battery evolution? In the last section, I will provide some context for this question. What is the theoretical specific energy of the Li-ion battery we use in our cell phone and laptop? It is 650 Wh/kg (give or take 10 percent). Anyone know what the practical specific energy of the cell phone battery is? It is 200 Wh/kg (give or take 10 percent). More than a third of what is theoretically possible is not available. Some of it is lost because the electrolyte stability caps the voltage and the capacity of the cathode. The rest of the energy is lost to various things in the battery like the current collectors, separators, and electrolyte. Things that don’t hold charge, but are needed to make a battery. At 650 Wh/kg, EVs would not suffer from range anxiety. At 200 Wh/kg, it’s high anxiety time. But the practical numbers are not too shabby. After all, this is the system that powers our lives today. The question we need to answer is: for the Li-air system, how much of the theoretical goal can we get in practice? Turns out that this estimation is not that straightforward. The shape that the breakthroughs take will dictate these estimates. We also have to make some guesses on how the battery will be engineered at scale and we are far from being able to do this accurately. Some in the battery field have looked at the numbers carefully and have concluded that when all is said and done, assuming that all 5 breakthroughs occur, the volumetric energy of a Li-air cell will be only as good as the Li-ion cell. Others disagree with that. Irrespective of whom you believe, we need to be cognizant of the fact that just because something looks great on paper, it does not mean that reality will pan out that way. Turns out, lithium iron phosphate is an insulator. And having electronic conduction in a battery material tends to be important. A breakthrough was needed to make this a useful cathode. As Y2K approached and mere mortals like me were busy stockpiling rations, others were devising methods to improve the rate of this material. Making it nano-sized appeared to be helping (one of probably two cases where nano structuring helps in batteries). The rate of the movement of lithium in and out of the material was improving, but much more needed to be done. In early 2002 a paper came out that showed what appeared to be the highest power for a lithium battery up to that point in time using lithium iron phosphate. This paper changed everything that was known/thought about this material and kicked off a large effort across the scientific community to understand how an insulator can be made into a high-rate battery. This concept was moved from the lab scale to industry and A123 Systems (s AONE) started working on this material. In late 2005, A123 Systems announced that they were going to start supplying these batteries for power-tool applications. Let us recap: In 1996 we knew a breakthrough was needed. This came 6 years later in the form of a lab-scale experiment. Three and a half years after that, the material was commercialized (at least the announcement is made). It took almost a decade from start to finish. In the battery field, this time frame has been considered aggressive and one of a kind! Notice also that, in this case study, we are talking about a new cathode material that, once it is shown to work in the lab-scale, fits into an existing production line (with tweaks). The manufacturing process was known and had been perfected over a decade, we were now inserting a new material into the line. Still, this took more than 3 years. For the Li-air system not only do we need breakthroughs, we also need to think about how we are going to make a battery with it at high speeds and low cost without getting too much extra weight and volume into the other components. Many of the processes that we use today will need to be reengineered and new ones will need to be incorporated. So if you go strictly by history, we have a lot to do and many years left. The Law of Breakthroughs (don’t look it up in Wikipedia, I just made it up) states “The pace of breakthrough occurrence is directly proportional to the number of people involved, extent of our knowledge, and the amount of luck”. Compared to a decade ago, when the lithium iron phosphate breakthrough was occurring, we have a lot more knowledge today. And the number of researchers working on Li-air is very large. Question is: is this enough to get the breakthroughs rolling or do we need a dollop (mountain?) of luck? Venkat Srinivasan is a Staff Scientist at Lawrence Berkeley National Lab and writes about batteries on his site This Week In Batteries. uh…. what are the 5 breakthroughs, or did I miss it? You did not miss it. It is pretty technical and I did not want to get into that in this post. If you are interested, below is a link to a journal article that does a great job of laying all this out. You can then decide if it really is 5 breakthroughs or (as one of my colleagues put it) “somewhere between 4 and 10”. You will need access to the journals. Thanks, but I don’t have access and the subscription cost appears too much for casual interest. Not sure how much I’d understand anyways; I have a science education but am certainly no battery expert. Regardless, your article was refreshing for someone who’s always been interested in green science. The internet is awash with articles that trumpet the news of any and all developing technologies. Unfortunately these same articles are so devoid of context (like required breakthroughs, economics, timeline, etc) that the reader is left with little clue about the technology’s true potential. You answered a few of my questions about Li-Air. But this is missing the point. The blog post is not about going ga ga about anything or putting down anything. I’m more optimistic than pessimistic about the technology, but that is besides the point. It is a (in my opinion) objective look at a technology to see where we are in the process of innovation. Are we at a point where scaling up is the issue or are we still looking at technological breakthrough? or are we still dealing with some fundamental questions? I really hope we will have many breakthroughs very soon. We need better batteries to improve electric cars range and recharging speed. I believe that EVs are the future of mobility and batteries are the single most important part of it. Breakthroughs are happening in the battery space. In my previous post I alluded to improvements in anodes and cathodes for Li-ion batteries. If these are commercialized, then we are talking about a doubling of energy density compared to where we are today. That is pretty amazing. Think about this: 15 years ago we had a battery at 1/2 the energy density of today’s batteries. The cycle life of many Li-ion batteries today is >1000 while it was 200-300 a decade ago. If we can double from where we are then a lot can happen.